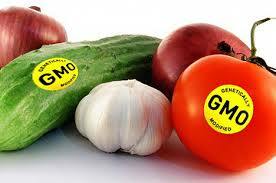 According to World Health Organization (WHO), “Genetically modified organisms (GMOs) can be defined as organisms (i.e. plants, animals or microorganisms) in which the genetic material (DNA) has been altered in a way that does not occur naturally”. Recently, Union Health Minister JP Nadda admitted that millions of tonnes of GM food products have illegally been sold in India for many years. Even after repeated complaints, no action on these illegal GM products has been taken by Food Safety and Standards Authority of India (FSSAI). In fact, instead of tackling illegal GM food products, FSSAI has now come up with the Food Safety and Standards (Labelling and Display) Regulations, 2018 which states that all food products having total Genetically Engineered (GE) ingredients 5% or more shall be labelled. 5% is an extremely high threshold for GM presence. The regulation also does not talk about GM presence in animal feed, a lot of which has GM presence too. Testing facilities around the world can detect GM presence to a level of 0.01%. India must also adopt a 0.01% threshold for GM presence, whether in food or animal feed. More than 300 scientists and legal experts from around the world have mentioned about calls by various governments to investigate long-term health impacts of GM food consumption in the light of uncertainties raised by animal studies. Also, deadly pesticides, including those banned elsewhere, are allowed to be used in our food production. These pesticides must be mandatorily labelled when food is being sold at retail shelves. Greetings! This is in response to FSSAI’s draft regulations called ‘Food Safety and Standards (Labelling and Display) Regulations, 2018’. I am responding specifically with regard to two hazardous agricultural technologies – synthetic pesticides and transgenics – which bring forth concerns related to food safety, consumer’s right to know and right to informed choices. Adequate scientific evidence exists to show that synthetic pesticides as well as genetic modification (GM) are correlated to numerous adverse health impacts like organ damage, effects on growth and development, immune system impairment, allergies, reproductive health problems etc. Health impacts from GM foods could also be because of synergistic effects of the deadly pesticides that are used on GM crops. Synthetic pesticides are known to be linked to many chronic diseases including cancers, and to cause birth defects, leave inter-generational impacts etc. It is important that the food safety regulator ensure food safety and protect citizens from the adverse health impacts of these hazardous agri-technologies. Most citizens do not want GM foods as per polls conducted. It is also worth noting that FSSAI itself has not allowed any GM foods to be sold and such food out there on retail shelves is illegal. 1. GM food labelling: The draft regulations state under Schedule IV, Section 2.7: “Labelling of Genetically Engineered or Modified Foods: All food products having total Genetically Engineered (GE) ingredients 5% or more shall be labelled. The total GE ingredients shall be of top three ingredients in terms of their percentage in the product.” My Demand: 5% is an extremely high threshold for GM presence. The regulation also does not talk about animal feed, while a lot of animal feed is from GM products. It has to be remembered that the Supreme Court of India, in the context of open air field trials, has laid down a condition of crop developer applicants having to submit validated test protocols with a 0.01% LOD. It is logical that FSSAI should create regulations that require any food having GM presence above a threshold of 0.01%, to be labeled as GM. 2. Draft regulation’s silence on labeling related to pesticide usage: Deadly pesticides, including those banned elsewhere, are allowed to be used in our food production in India. The draft regulation on labeling and display right now does not touch upon this topic that will help consumers make informed choices. In an age where consumers are getting increasingly aware of the damage caused to them by pesticides in their food, it is critical that they know about the pesticides used in production of the food that they are consuming. My Demand: I demand that FSSAI include in this regulation, a clause that the pesticides used in production must be mandatorily declared on the label, when food is being sold at retail shelves. 3. It is also unfortunate that such draft regulations are being made available only in English, and hence, a large set of citizens of the country cannot contribute to the formulation of such regulations. My Demand: For this public feedback process to be meaningful, please put out the draft notifications and notices in Indian languages and allow common citizens to partake in the regulation formulation process. You can find my feedback put into the requisite format here - http://bit.ly/2kPMjod Thank you. Recipients will receive your name, email address. Food labels should declare pesticides used and GM presence. SHARE NOW!